The authors would like to thank all the contributors to this Forum Debate section, and all participants of the workshop in Transnational Labour Activism across Asia, which was hosted at the Institute for Social Movements, Ruhr-University Bochum, autumn 2015, and supported by the German Research Foundation and the Mercator Foundation. We also thank the anonymous reviewers for their helpful feedback on earlier drafts of this Introduction. As an Introduction to the Debate section that follows, this article develops the concept of ‘Networks of Labour Activism’ (NOLA) as a distinct, and important, aspect of cross-border, cross-organizational mobilization of workers, trade unions and other organizations and groups. NOLAs are seen as different from traditional labour activist networks in that they are neither solely connected to the position of labour in production processes, nor wholly reliant on the soft and discursive power of advocacy coalitions. The authors understand NOLAs to be characterized by the interaction of different types of labour rights, social movement and community organizations, joining forces in complex forms of strategizing vis-à-vis multiple targets. Thus, cross-boundary strategizing (across organizational and geographical divides) is seen as a basic characteristic of NOLAs. The authors argue that NOLAs continue to be deeply embedded in political-economic contexts of the state and global value chains, and alliance formation reflects the peculiar vulnerabilities and constraints resulting from this embeddedness. 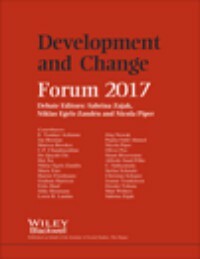 This Introduction draws on multiple studies of NOLAs from around the world, but its main focus is on some of those Asian countries which are at the centre of global supply chain capitalism and labour exploitation, and which have become the laboratory for new forms of networked worker agency and activism.